During 2016 Curas introduced the all-new REF 08027 3L General Purpose Bowl w/Hygiene Control Bag™ system. 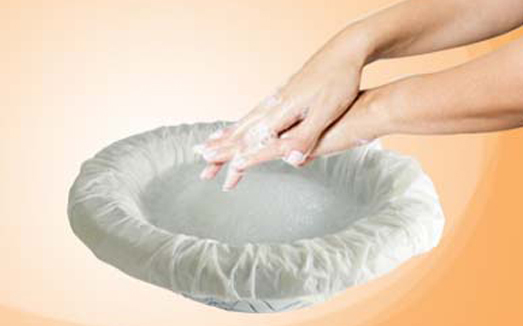 The product, a low-cost yet very strong inner bowl (core) made by environmentally friendly recycled paper pulp; then added a pre-fitted outer protection bag made of 100% virgin grade HDPE (clean) material, is a very innovative solution for a wide range of clinical uses. 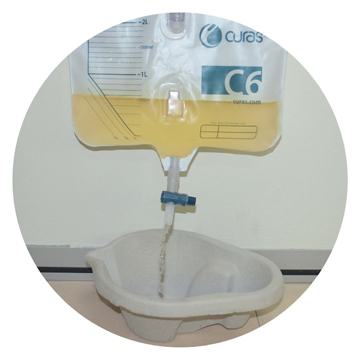 Ranging from bedside washing to commode chair bowl use, the REF 08027 3L product can tolerate large quantities, temperatures and types of fluid, over extended periods of time, and thanks to the draw-string system as well as the additional and complimentary use of SAP by Curas™ fluid absorber range, the contaminated liquid / waste will be ultimately controlled and isolated thus providing a true Infection Prevention nursing situation. Now, based on the experiences of the 08027 3L product, Curas is now pleased to introduce the 08026 2L General Purpose Bowl w/Hygiene Control Bag™ system. 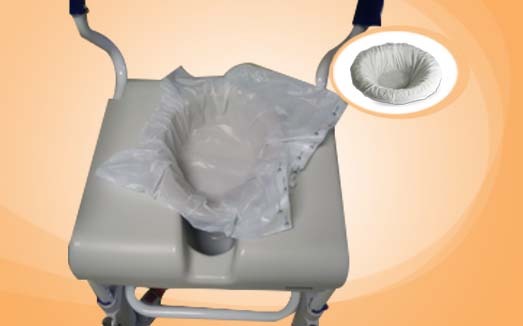 Based upon the proven concept of the 3L product mentioned above, the new 2L disposable bowl product takes aim equally at bedside nursing and hygiene tasks, including those duties relating to general incontinence care, washing and facial hygiene, wound care management and of course as a very hygienic and safe receiver and container for the commode (toilet) chair use. The REF 08026 and 08027 are available by Curas logistical hub in Gent, Belgium as well as for FCL direct container shipments. 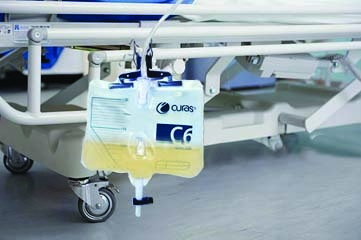 Curas Hygiene Pulp™, a market leading range of innovative disposable products, for intended Infection Prevention strategies concerning everyday nursing related tasks, has recently been expanded by the all-new REF 08059 and REF 08060 Disposable Urine Bottle System w/SAP by Curas™ fluid absorber system [REF 08060 only]. Casper L Kobke, director explains: “The specific purpose of the new 1.5L XL-size disposable urinal (urine bottle) is to assist nurses with a high capacity yet disposable product. We know, from customer interviews from around the world that the clinical staff often needs a bigger size bottle, e.g. 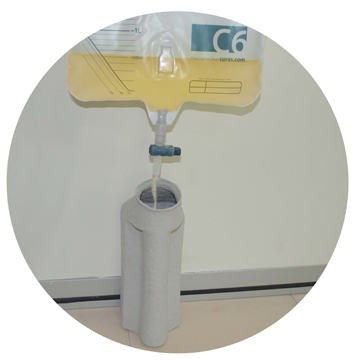 when handling the fluids from urine bags (when connected to Foley catheter) or during patient-use situations where the male patient is undergoing treatments which accelerate the urine production. The new 1.5L design is unique in terms of its packaging system that is the new 28pcs Compact Dispensing Carton set-up, as well as the pre-loaded SAP by Curas sachets where we use 2x 9g powder for maximum fluid stabilization and finally the fact that each bottle is supplied to the patient with a pre-connected lid enabling the best possible protection, discretion and end-user comfort”.